SEOUL, March 14 (Yonhap) -- A North Korean media outlet urged the United States on Thursday to accept Pyongyang's offer to dismantle its Yongbyon nuclear facilities in exchange for partial sanctions relief, insisting it is the best-possible proposal at this point. The North put forward the proposal at last month's second summit between North Korean leader Kim Jong-un and U.S. President Donald Trump, but the U.S. turned it down, saying Pyongyang demanded the lifting of all key sanctions while offering to denuclearize Yongbyon only. The differences led to the Feb. 27-28 summit ending without an agreement. "Our (proposed) denuclearization steps and demand for corresponding sanctions relief sufficiently reflected the U.S. government's stance and demand as well. There can be no better way than that," Uriminzokkiri, a North Korean propaganda website, said in an article. 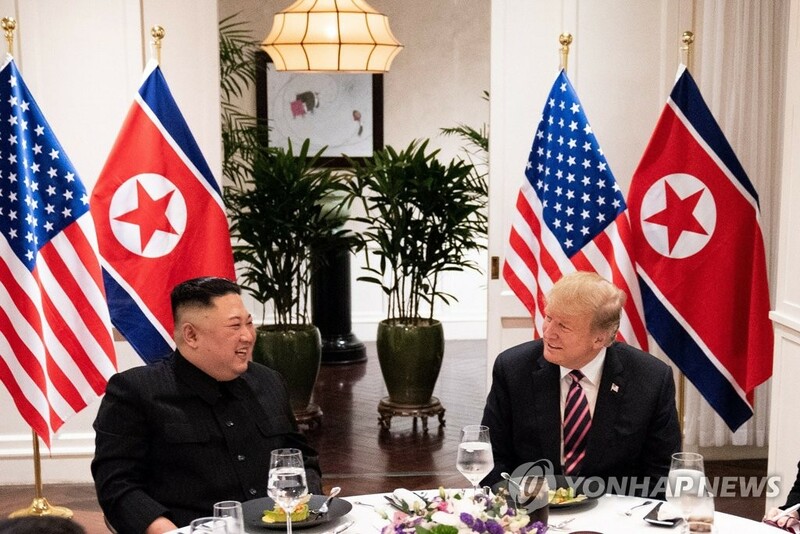 Uriminzokkiri also said that the Hanoi summit was a chance for North Korea to demonstrate its determination to live up to the world's demand for ending confrontation and ushering in peace and stability. "Our stance to move toward complete denuclearization remains firm," it said. "As seen in the rapid improvement in North-South Korea relations last year, once we decide to act, there will be nothing we cannot do and we will be brought to the final point that benefits each other." North Korean media are making almost daily demands for Washington to accept its proposed denuclearization measures, while expressing an intent to give up its nuclear weapons. Experts see it as an indication of Pyongyang's willingness to continue the negotiating process with the U.S. despite the breakdown of last month's summit and speculation that North Korea might be preparing a missile test. North Korean media have also urged citizens to focus on "self-reliance" and "modernization" in the face of "hostile forces' sanctions scheme, an apparent bid to tighten up domestic discipline. The Rodong Sinmun, the official newspaper of the North's ruling party, called on people to raise their guards against outside forces' attempt to undermine the country's foundation and focus on self-reliance and modernization to render their sanctions scheme "fruitless." "Imperialists' machination is reaching an extreme point," the paper said. "We should nip in the bud the imperialists' ideology and culture that hamper our nation's existence and development before they take root." "All parts and units of our people's economy should ignite the glow for self-reliance and modernization, while demonstrating our prowess in science and technology to make the hostile forces' sanctions scheme fruitless," it added.